Ali b. Muhammad al-Hadi (a.s) is the tenth Shi‘a Imam. His father was Imam Muhammad b. Ali al-Jawad (a.s) and his mother was a woman named Sumanah. He was born in the village of Sarya on the outskirts of Madinah in the month of Rajab 212/827. Historical sources describe Imam al-Hadi (a.s) as being of medium height and having a very dark complexion, similar to his father Imam al-Jawad (a.s) and grandfather Imam al-Ridha (a.s). Imam al-Hadi (a.s) had to bear great responsibilities at a very young age due to the fact his father Imam al-Jawad (a.s) was summoned to Baghdad from Madinah when Imam al-Hadi (a.s) was no older than six years old. While his father was in Baghdad, Imam al-Hadi (a.s) took his place in Madinah, running his affairs. Less than a year later his father died, leaving him to assume the position of Imamate. Imam al-Hadi (a.s) was a very humble man. His wealth of knowledge and great social standing increased his popularity among lay people, who believed that he truly reflected the behavior encouraged by Islam. Imam al-Hadi (a.s), who lived in Madinah for most of his life, was summoned by Abbasid ruler al-Mutawakkil to the capital at the time, Samarra. Al-Mutawakkil wanted to have Imam al-Hadi (a.s) under constant monitoring as he feared that he would lead an armed rebellion against the Abbasid government. Imam al-Hadi (a.s) spent the remainder of his life in Samarra and is reported to have been poisoned by either al-Mutawakkil, or his son al-Mu‘tamid. 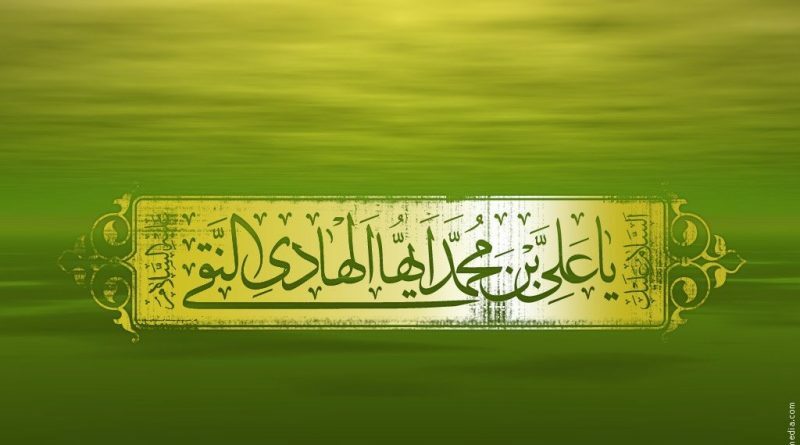 Imam al-Hadi (a.s) died at the age of forty in 254AH/868AD.